You would think the International Seafood Sustainability Foundation (ISSF) was fighting for healthy oceans. It’s really nothing more than a front for giant tuna companies that profit from killing ocean creatures, damaging ecosystems and exploiting workers. 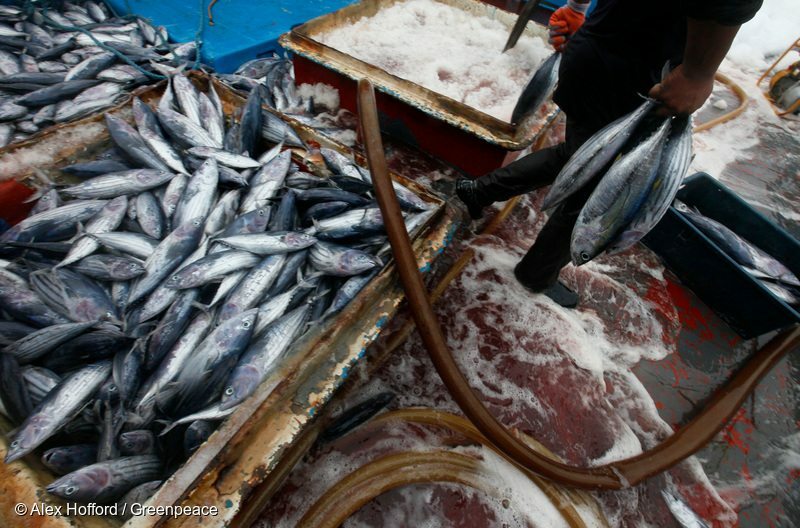 The tuna industry is changing, and fast. Progressive companies in all of the world’s major tuna markets are responding to demands that tuna must be fished in ways that don’t harm people or the oceans. But despite the progress, many big companies are seeking out approaches that protect their old ways of working, while keeping their customers’ environmental and labor concerns at bay. Why, then, would these resistant, slow-to-move companies join an organization called the International Seafood Sustainability Foundation (ISSF)? ISSF was set up in 2009, at a time when Greenpeace and other environmental organizations were stepping up efforts to challenge the tuna industry to change its destructive practices. Its eight founding members are all tuna industry giants, who, at the time, controlled half of the global canned tuna market between them. ISSF’s funding comes from corporate fees, which can be up to $300,000 for large companies like Thai Union and Chicken of the Sea. Several tuna corporations make additional donations, such as Bumble Bee’s $250,000 donation in 2012. Marine Instruments, a Spanish company which manufactures tracking buoys for fish aggregation devices (FADs), has also contributed. The use of highly destructive and poorly regulated FADs in purse seine fisheries (the preferred method of most ISSF members) is one of the major environmental concerns with the tuna industry. 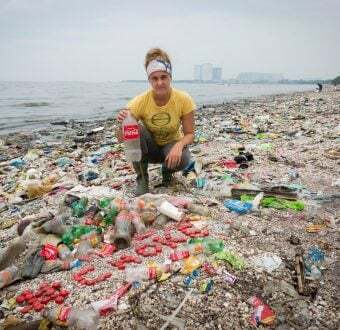 ISSF’s fruitless pursuit of so-called ‘eco-fads’ and its refusal to support effective control of FAD use, shows an organization bowing to its industry members rather than working for real solutions. ISSF’s connection to the National Fisheries Institute (NFI) is also worth exploring. 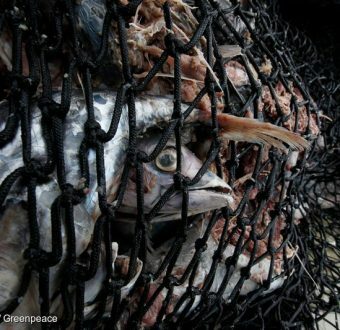 NFI is a fierce critic of those that dare to call fishing industry practices into question. The current President of NFI acts as treasurer to ISSF, and the current ISSF President is a former Director of NFI. The connection is important because NFI’s position is dogmatically pro-industry status quo. 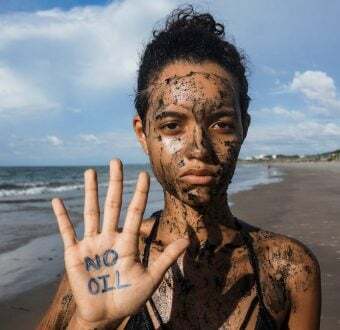 Together with some of ISSF’s member companies, NFI sponsors TunaForTomorrow, a running PR attack on Greenpeace that is both highly inaccurate and often includes personal attacks on Greenpeace staff. How seriously can we take an organization purporting to genuinely advocate for sustainability, when it has such close links to trade associations like NFI, which employs public relations companies that defend the fishing industry’s destructive and exploitative practices without question? This revealing graphic, created by a former Creative Director for Counterpoint Strategies throws an illuminating light on the way the PR firm and its client NFI view their role and the role of ISSF. The message is clear – NFI and ISSF serve to defend US brands from environmental groups. An additional box depicts ISSF as a barrier between tuna brands and RFMOs (Regional Fisheries Management Organizations), the bodies responsible for regulating tuna fishing and preventing overfishing. 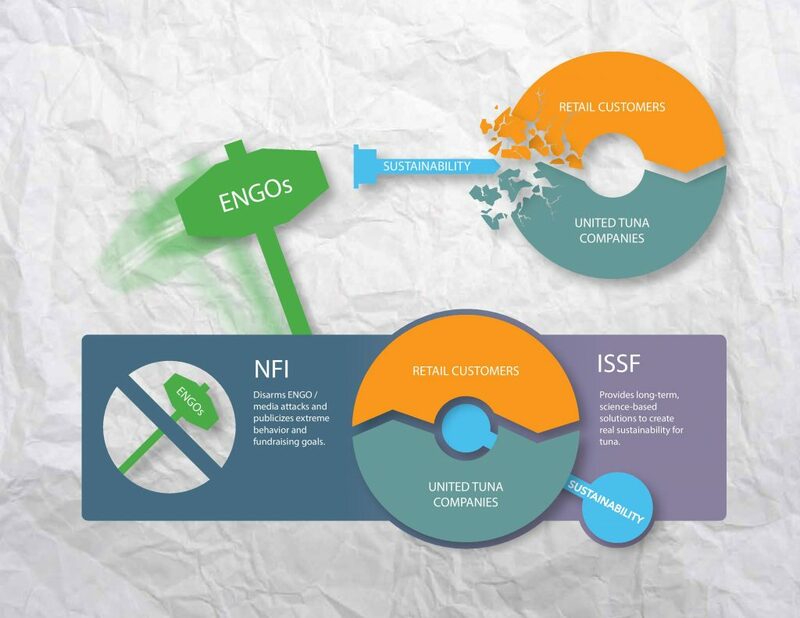 Another graphic, produced by Counterpoint’s former Creative Director, is perhaps even more direct in depicting how the NFI and ISSF partnership serve to block conservation groups from persuading retailers to address concerns about tuna fisheries. ISSF: Real Sustainable Seafood or a Shield to Deflect Criticism? ISSF’s dependence on industry funding, relationship with NFI, and its reliance on some of the world’s most notorious public relations firms could be forgiven if the organization championed sustainability and pushed its member organizations to clean up their supply chains. Instead, companies brandish their ISSF membership as a way to deflect criticism. Meanwhile, many other industry players are finding solutions. Recognizing that most of the ISSF’s so-called sustainability initiatives largely reflect legal requirements already in place, companies genuinely concerned with sustainability are proactively seeking out supplies that are caught without FADs. They are also stamping out labor abuses in their supply chains — issues on which the ISSF has almost nothing to say. Some years ago, ISSF asked Greenpeace to join its Environmental Stakeholder Committee. We politely declined. We were and remain concerned that too much of ISSF’s output, and too much of what it chooses not to work on, could be shaped by its dependence on industry money. Too often, the impression we get is that ISSF’s role it to deflect attention from the real problems, and to delay adoption of real solutions that its corporate members would prefer to avoid. With its fruitless and mislabeled ‘eco’ efforts, and its cynical sidestepping issues like labor abuse issues and tuna longline fishing, ISSF looks more and more like the lame bird it is, wing outstretched to protect its beleaguered members, as the sustainable tuna industry takes flight without it. While this remains the case, membership of ISSF counts for little when it comes to ensuring a brighter future for our oceans and more responsible canned tuna options for consumers, and we encourage progressive companies, funders and conservation groups to put their energy and their money into other projects.